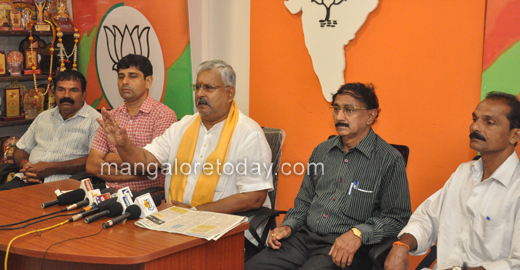 Mangaluru, May 04, 2018: BJP leader and former minister Nagaraj Shetty has said that the Light House Hill Road would be renamed Mulki Sunder Ram Shetty Road within 30 days of the BJP government led by Yeddyurappa coming to power. Addressing reporters at the BJP office here on May 4, Friday, he said though a notification to remake the road was taken during the Congress rule in MCC, MLA J R Lobo had come in its way resulting in a court battle. Referring to the movement launched by Aloysius institutions to have the road named as Aloysius College road, Shetty said "I too am an old student of the institution and have great respect towards it. But the college need not identify itself through a road," he said and added that the BJP was committed to name the road after Mulki Sunder Ram Shetty. Referring to the second vented dam at Thumbay, he said it was during the Yeddyurappa regime that the Rs 40 crore project was approved. Ultimately, the project cost rose to Rs 75.50 crore due to delay. There is a need to find answer as to who was responsible for this increased cost, he said. 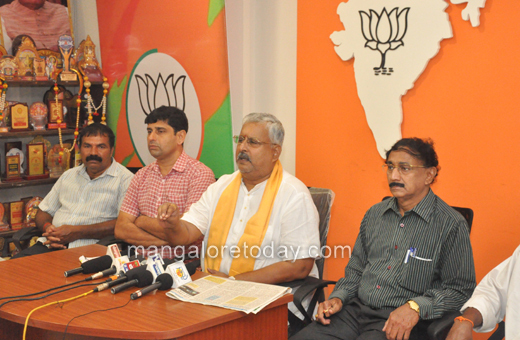 Bhaskerchandra Shetty, Premanand Shetty and others were present at the press meet.